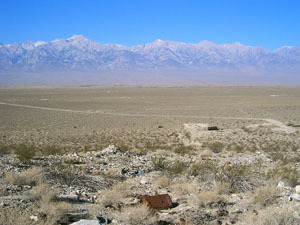 BEST TIME TO VISIT: Spring or Fall COMMENTS: Located about 6 miles east of HWY 395 near Independence. 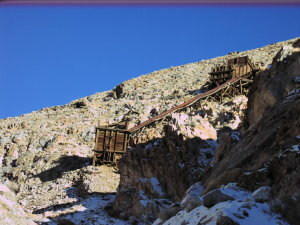 Its an easy hike up to the main mine, and definitely worth it! 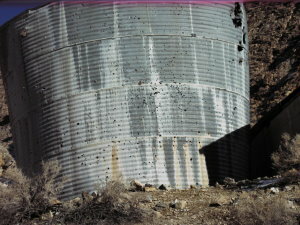 One of my book sources says this is private property but no signs are posted. 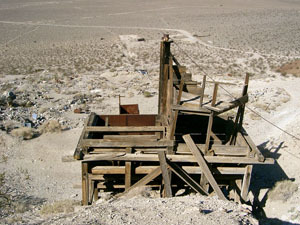 REMAINS: EXTENSIVE mine ruins! 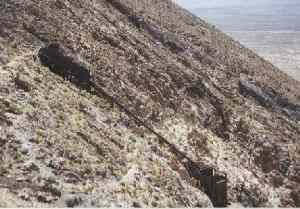 Tramways and hopper system plus a couple of small, newer buidlings. 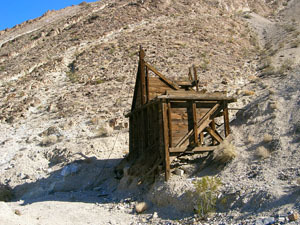 Originally called the Eclipse mine and then the Brown Monster mine. 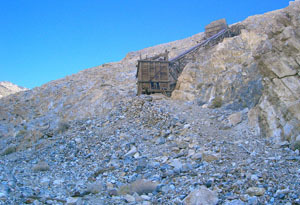 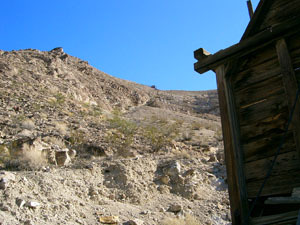 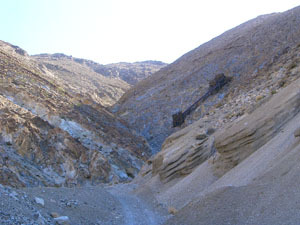 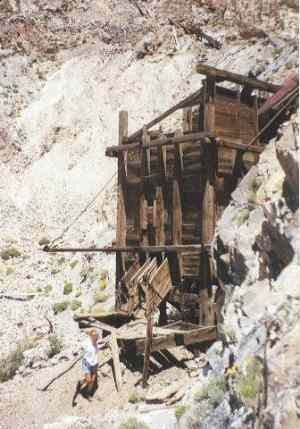 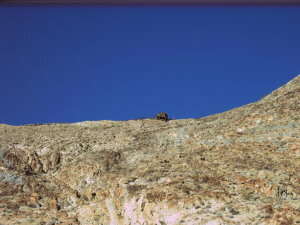 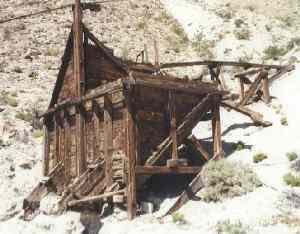 The Reward mine supplied the largest supply of gold in Owens Valley. 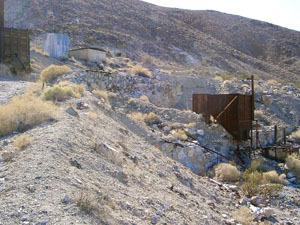 The mines were active from 1860 to 1936. 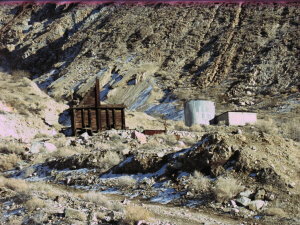 The town of Reward served as a trading center for the mines in the valley and had a post office from 1900 to 1906.